What, exactly, is a retaining wall—and what do you need to know about Olathe retaining wall installation? Simply put, a retaining wall is a free-standing barrier. This barrier prevents dirt and sediment from succumbing to the forces of gravity. That means a retaining wall can keep dirt where it is needed instead of letting it wash away—and that’s important for homeowners. Talk of retaining walls typically includes words like “slope” and “gravity” and “gradation.” And those words are important, to be sure. But retaining walls are about more than just dirt, and they’re one of the elements of landscape design that can be both functional and aesthetically pleasing. Why Might I Need a Retaining Wall? The best Olathe landscape architects will tell you that reasons abound for building a retaining wall. It might be a logistical decision if there are issues of slope or runoff. Making sure your home’s foundation is protected is one of the most important considerations you’ll make as a homeowner, and foundations can be threatened by sliding hills, washout, and erosion. It might also be a design decision. For example, if you want a tiered garden to make the best use of a small space, a retaining wall might be a great option. It also might work for you if you’re looking for a way to add extra seating options. 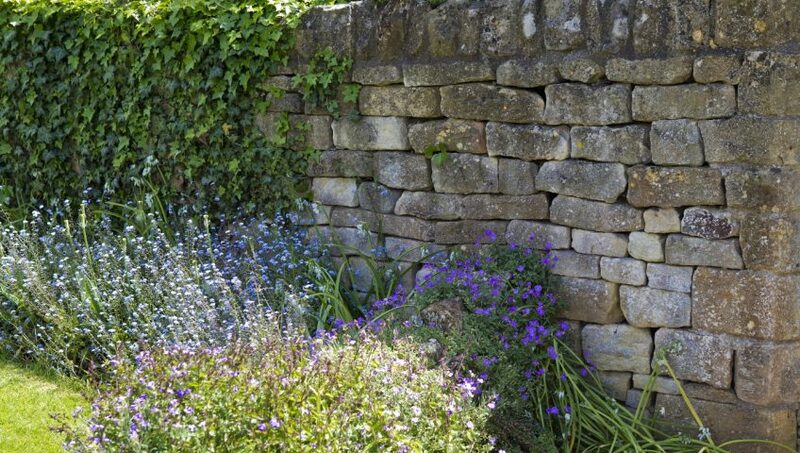 A retaining wall can, in fact, be a multi-tasking element of your landscape design. It can provide practical, necessary protection to your home and landscape. I can also add a beautiful, unique design element to your yard. Even better, it can help create a unique focal point that expresses your personality and design tastes. The best way to ensure that you achieve each goal is to consult with a professional. Take that time to ask questions and to learn all you can about why a retaining wall might work for you. A retaining wall should first be practical, for certain. There are too many issues to worry about if done shoddily, so be sure to consult with a professional. But that doesn’t mean it can’t look great, too. As you think of options, remember that you have choices. You can opt for concrete, brick, stone, even wood. Remember to weigh the pros and cons of each option; for example, wood might better suit your design and personal taste, but likely won’t last as long as stone or concrete. Truth is, every yard is different and there’s no way to adequately tell you everything you need to know about retaining walls unless we actually have a conversation. But there is one important thing we can say to everyone: don’t go it alone. While we could give you a checklist of things to be aware of, there are technical issues that matter. This is especially true of the behind-the-scenes technicalities of properly constructed retaining walls. Remember that a proper retaining wall needs proper drainage, sturdy construction, and careful planning. Working together with a dedicated Olathe landscaping company can help you find just the right solution. So reach out to ask questions, or to see examples of projects we’ve completed. What does it take to be an exceptional Olathe landscaping company? That’s a big question that boils down to a few things, most of which hinge on this: we want your yard to be the best yard it can be, and we want you to be happy with the service and products we offer. In our last post, we talked about things to consider when hiring the best Olathe landscaper possible. And in that post we also mentioned a variety of things to consider that apply to the planning of a successful yard and garden. A few of those things include dreaming up what you want your space to look like, how much you want to spend, and how much help you want to have as you turn your plans into reality. All of those things are important, but we barely skimmed the surface in the last post. So it’s time to examine your dreams a little more in depth. To do this, you have to consider your yards of years past. What were you happy with? What did you dislike and want to change or eliminate? Even if you’re not the list-making type, jotting these thoughts down in a place that you can easily access will help you as you plan. It will also help you better articulate your thoughts to your Olathe landscape architect. Think, too, about the work it took to make those yards of years past possible. Did you spend more time working on your lawn than you did enjoying it? Did you enjoy that time spent working? Or would you have rather spent it with family or friends—or traveling, going to the movies, or learning something new? You’ve read it in countless business books, but it bears repeating: your time is money. Considering how much time you invest in your lawn is an important part of planning for future years. Weigh the pros and cons carefully. Sometimes it takes seeing something to realize its potential. These cold winter months are the perfect time to spend a weekend afternoon at a home and garden show. Or you could search Pinterest for gorgeous lawn and landscaping ideas, or flip through a seed catalog. Who knows—you might realize you know exactly what you want, or you might find something you never knew you couldn’t live without! We’re here to help you make your lawn the best it can be and we’d love to talk to you about the lawn and landscape you want to create in this new year. As you’re surfing online, take a minute to read a few testimonials and if you’re ready, reach out and take the first step to making your dream lawn a dream come true! It might seem counterintuitive to think about outdoor and yard and lawn goals in the dead of winter, but the opposite is actually true. Taking time now to plan for the year and giving yourself ample time to research, talk with professionals, and hire the perfect expert for the job will ensure that when the weather thaws, your lawn and gardens will be ready to bloom. So the question at hand is this: are there tips for hiring the best possible landscape architect? And the answer to that question is a resounding yes! It’s not impossible, but it’s difficult to hire the right person for a job when you don’t know what that job is. This month is the perfect time to really think about what you want from your lawn and gardens. Do you want to keep things as simple as possible? Repeat what you did last year? Change things up and plant something new? Think not only about how you want your lawn and garden to look, but also what it might take to achieve those goals. Think about your budget, and how much you are comfortable and/or willing to invest in professional help. If you’re thinking of selling your home in the coming year, think about curb appeal and be sure to consult a real estate expert to discuss which investments garner the best returns. And your coworkers and your friends, especially those who maintain outdoor spaces that you admire. Ask what they wished they’d known about retaining walls before they had one installed or pepper them with questions about how and why they use their outdoor kitchen. Ask, too, for referrals—and make sure to check out each referral for references, both public and private. The most reputable businesses have fans eager to sing their praises! Every business model is different, but ours is built on a foundation of trust, communication, and quality. We always work with our clients to meet their budget and their needs, and we pride ourselves on delivering exceptional service and products. Why? These are the qualities we look for in others, so we embody them ourselves—and we’ve been in business for 50 years now. So don’t be shy–reach out to ask us questions. We enjoy being a resource to our clients and because we’re always learning something new, we’re always sharing new and exciting information. What Does an Olathe Landscaper Do? Have you ever wondered why you need a professional landscaper—or have you been curious about what, exactly, a landscaper does and what makes some Olathe landscapers more successful than others? 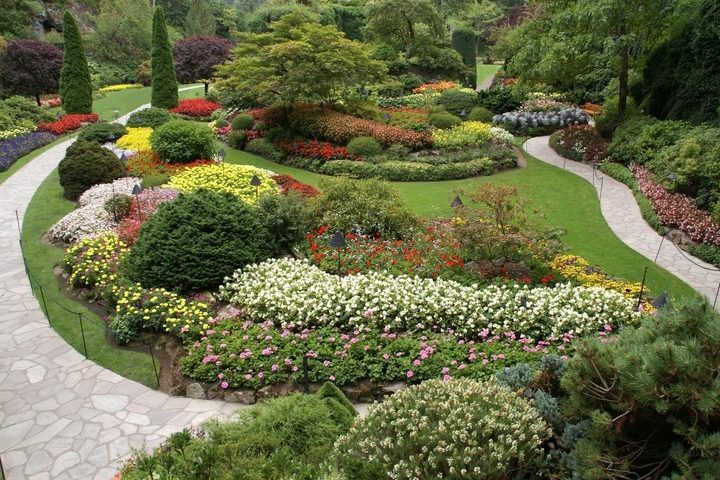 Some of a landscaper’s job duties might seem obvious: they take care of landscapes, right? Right! But there’s more involved in that than you might think. Read on to learn more. 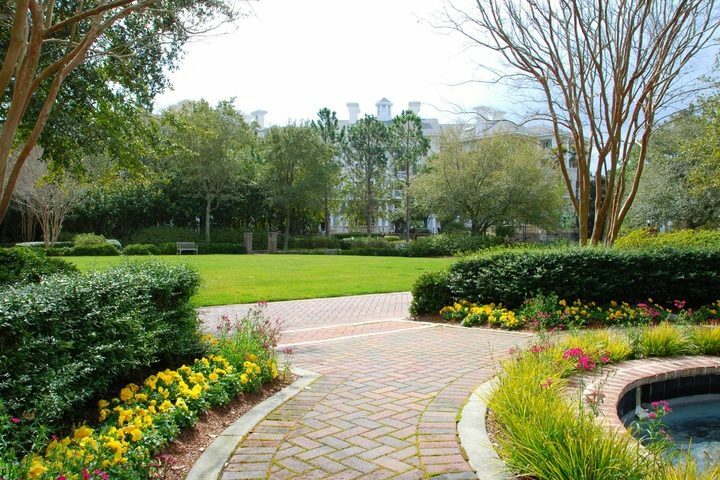 A landscaper’s primary job is to cultivate and care for lawns, gardens, and other landscapes. This isn’t a one-size-fits-all job! It encompasses planting flowers, planting and mowing grass, preventing and pulling weeds, and building and repairing structures, and more. Successful landscapers are also life-time learners and understand that each of these tasks is dependent upon a unique set of circumstances. Circumstances can vary by region or because of space or budget. All of this means that the best landscapers are curious and flexible and enjoy learning new things. By specializing in native Kansas grasses, plants, and flowers, your Olathe-based landscaper can leverage plants that thrive in our unique climate. By doing this, they can help you cultivate a vibrant, healthy, prolific lawn that will be the envy of your neighborhood. Landscapers love being outdoors; after all, it’s where they spend most of their time. Because the weather (especially here in Kansas) is always changing, they have to be flexible. It’s important that landscapers are willing to work in all climates and conditions. The best landscapers are voracious learners; they might have to learn to safely use new or different tools, understand how weather and the seasons affect growth patterns, and know other local resources to tap for best results. Landscapers must be comfortable with constant physical activity because they’re usually on their feet and always moving around. Sure, most landscapers mow, mulch, prune, and fertilize. But others offer a full suite of services including irrigation design and building, hardscape design and building, natural stone installation, river rock installation, drainage solutions, finish grading, sod grading, and retaining wall planning and installation, just to name a few things. This tip is true, no matter the position: the best people make the best landscapers. When you trust someone with your lawn, garden, or backyard kitchen you want to know they are diligent, knowledgeable, honest, and responsible. We believe the same, so you’ll find everyone you speak or work with here is friendly, helpful, and eager to make your experience one you’ll rave about to family and friends. Do you think that Spring is the only time to plant native grasses and flowers? If so, you’re not alone—that’s a common misconception. But Olathe landscapers will tell you it’s simply not true. With a little bit of planning and preparation once the calendar flips to Fall, you can start establishing warm season grasses and native wildflowers before it’s time to decorate your Christmas tree. In fact, with native grasses in particular, dormant season seeding (Fall, in this case) imitates natural reseeding. Once frost sets in, things change a bit: frost seeding (which is the spreading of seed over frozen soil after the first killing frost) results in some natural stratification—which means that the seed and seed coat change enough to enhance germination. There’s also good seed-to-soil contact because of the moisture frost brings. Even though this can all be done successfully in the Fall and Winter, most germination probably won’t occur until Spring; the exception to this might be some cool season species. This is when working closely with an Olathe or Johnson County landscaping company can be especially beneficial; not only can Olathe landscape architects help you understand which plants are native to the area, but they can also help you determine when and where to plant for the best results. Curious who you’ll work with if you choose us? Learn a bit about us here. There are disadvantages to seeding during dormant seasons. Seed loss is possible, usually due to decay and consumption by wildlife. Weeds can also be an issue—in fact, the best time to start preventing weeds is when the weather is cooler, before the weeds germinate and start to take root. Smart tip: take the time to mulch well. Not only will doing so hinder weed growth, but it will help the soil retain moisture and provide protection for seeds and soil. Curious and want to know more about native Kansas plants? The best thing to do is to talk to an Olathe landscape architect or Olathe landscaper. Another great resource is the Kansas Native Plant Society. What else should you be doing to make the most of these cool Fall days? Prune and trim perennial plants, shrubs, and hedges. Pruning trees can be a monster of a job—and sometimes it’s best left to a professional landscaper. Not sure if you should try it on your own or bring in an Olathe landscaping company? Ask us! 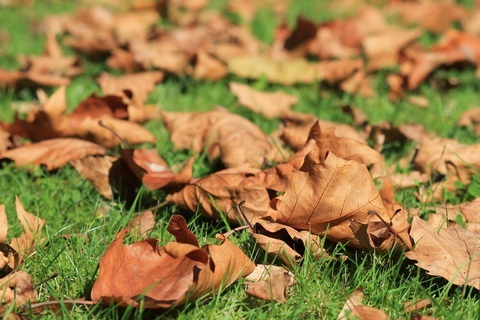 Once you’ve trimmed, make sure to remove clippings, branches, fall leaves, and other debris from your lawn. Why? Anything that covers your grass impedes sunlight, and when the sun’s rays can’t reach your grass, growth can be slowed or even stopped. This all leads to a lawn that looks more lackluster than lush—and might even leave dead or spotty patches in your yard. Mulch looks good, no doubt. But it also serves as a blanket of sorts for the soil and the roots below—and happy roots mean happy plants! Different areas require different mulch strategies; you want beds to have 1-2 inches of mulch, but you don’t want to cover the trunks of shrubs or trees. Once severely cold weather is imminent, tender and early-flowering plants will need extra protection. Consider staking around the plants and covering them with burlap to keep them as protected as possible. Every lawn is different, but grass is grass. As an Olathe landscaping company, we know there are a number of factors that make a difference in how your grass looks. Does your lawn get enough sun? Is there some shade? How does water flow throughout your lard on a rainy day? The questions could go on and on. The important thing to understand is that your lawn, every lawn, needs fed. If you don’t feed your lawn correctly, it will look horrific. Being an Olathe landscaping company has given us great insight into how to feed a lawn and what works best for each season. If you want to keep you lawn looking healthy, you’ll need to feed it well. Now before we dive in too deep, it’s important to note that how you feed your lawn will be determined by the season and weather. You can’t treat your lawn the same in the spring and winter – then expect your grass to stay lush and lovely. In Late February through April, you’ll want to start feeding your lawn regularly. This will help to strengthen the roots after a long winter. If you had crabgrass the prior year, look into a lawn food that has crabgrass control. You should start laying down lawn food around the time it needs its first mowing. Your lawn needs a lot of food until late June, early July. So make sure you stick to a regular lawn feeding schedule during these months. If you fed your lawn properly at the start of spring, you should start seeing some green – a lot of green! Just remember to keep feeding and not admire your newly lush lawn too much. Late June, July, and August are too hot! Every Olathe landscaping company will tell you to keep your grass hydrated during these months. Keep feeding your lawn during this time, as well. Summer is hard on your lawn, and you need to keep up the care to ensure strong roots and stunning color. Make sure to feed your lawn one last time right before fall rolls around. Your grass is basically hibernating once the first frost hits. Your work is done in the spring and summer when lawn care is considered. If you’re looking to keep your lawn as lush as possible all year, then Huston Contracting is your one-stop-shop to a guaranteed great lawn. Get in touch today to learn more about our offerings and how we can help you. It’s a homeowner’s job to keep the home up-to-date, alluring, and bursting with curb appeal. Even if you’re not planning on selling your home soon, it’s important to feel a bit of pride swell up in your chest as you roll home from a long days work. That feeling of pride often comes with a price. Stunning curb appeal takes time and effort to cultivate. Your landscaping isn’t going to take care of itself. Many individuals and families find themselves drenched in sweat with dirty hands and knees come Saturday afternoon. A day out in the sun, as you work on your landscaping, is hard work. While landscaping can be tough work, there is some good news. You don’t have to handle your landscaping by yourself. Instead of spending all your free time working, you could just hire an Olathe landscaper to take care of enhancing your home appeal. Before you hire an Olathe landscaper, you’ll want to do a little bit of research. You need to know what you want. You need to have an idea of how you’d like your landscaping to turn out. Do some research online and get a sense of the look or beautification project you’re interested in. Walk around the neighborhood and search for ideas. Word of Mouth: If you hear any friends or family talking about a landscaping project or curbside addition – ask them about it. Find out if they like how the project turned out. See if they’d recommend the landscaper they used or if they were not that pleased with the work. Take a Name: Olathe landscapers often leave little signs in yards after a project is complete. If you see a project you like completed and a sign in front – jot down the name of the company or take a photo with your phone. Then look the company up online when you get home. Ask Around: If you see some amazing landscaping on a home, then don’t be afraid to ask the owners who did their project. If you’d like to emulate some design elements from a landscaping project you saw, but don’t know who completed it – just knock on the front door and ask nicely. Google It: Lastly, you should Google “Olathe landscapers” if you’re in the market. Read reviews of different companies and look at portfolios. Get an idea about the landscaping companies in the area. And always remember – the best landscaper may not be found on the first page of Google. Do some digging and make an informed choice. If you found an Olathe landscaper you like (or a few), then you’ll want to get in contact with the company. Ask some questions. See if your project will require a consultation or if you can get a bid over the phone, and always feel free to give Huston Contracting Inc. a call with all your landscaping questions! © 2015 Huston Contracting, Inc. All rights reserved.